Simple, delicious and everyone loves them. 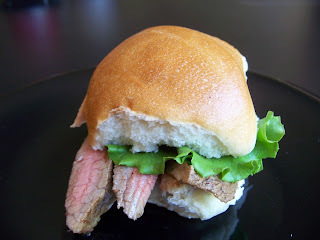 Mini steak sliders. 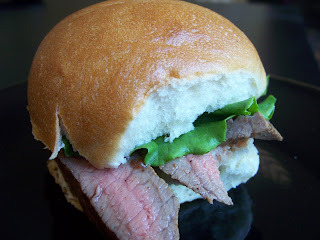 Tab - this is another one for you and the boys, I used round steak, sliced thin and it was perfect for the little sandwiches. Heat grill or broiler. Mix last 8 ingredients in a small bowl (eyeball amounts to taste) and pour over steak in a shallow dish. Marinate for 20 minutes or so, turning often, while the grill/oven heats and all other ingredients are prepped. Slice rolls in half, spread with mayo/horseradish mixture (to taste) and prep lettuce to a size appropriate for rolls. 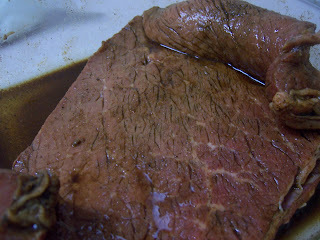 Grill or broil steak, 2 minutes per side or so, CAREFUL not to overcook or it will become tough. Let stand at room temperature for 5 minutes and then slice thin, across the grain. Layer with lettuce on rolls and serve. Kirsten, this is a serious sandwich!! 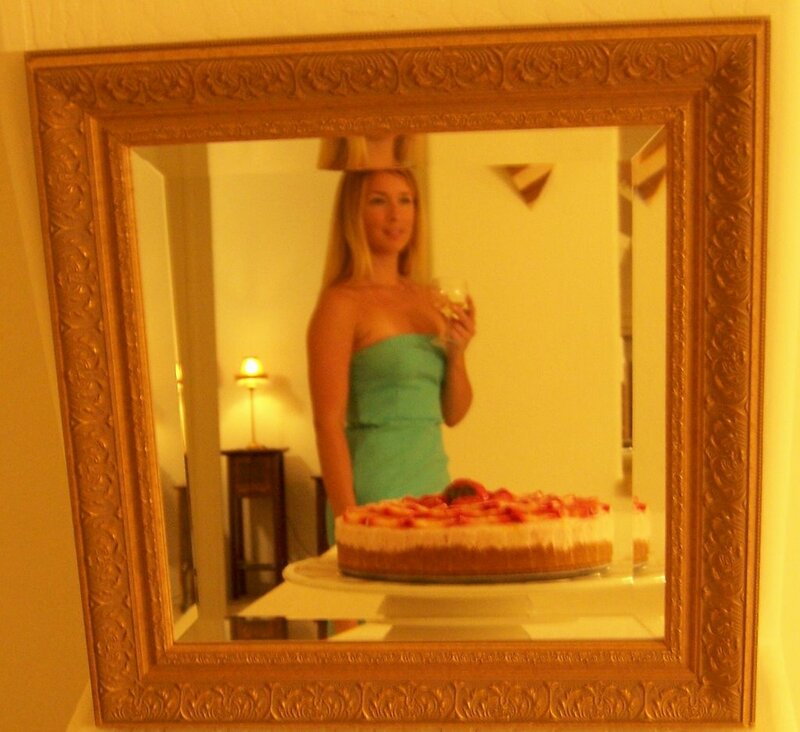 Another recipe my husband would love! These look great...I want one for lunch now! This must be cow week.